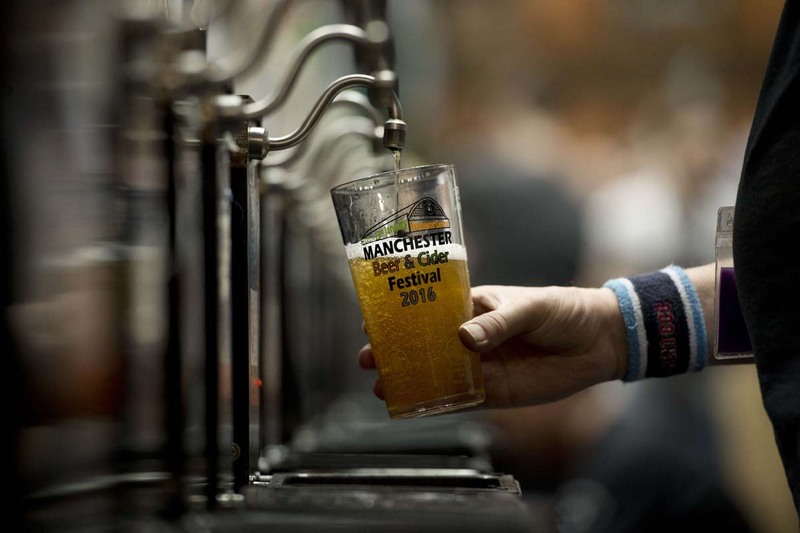 The Manchester Beer and Cider Festival festival is set up by the Greater Manchester Branches of The Campaign For Real Ale. The festival features over 600 different beers, perries and ciders. 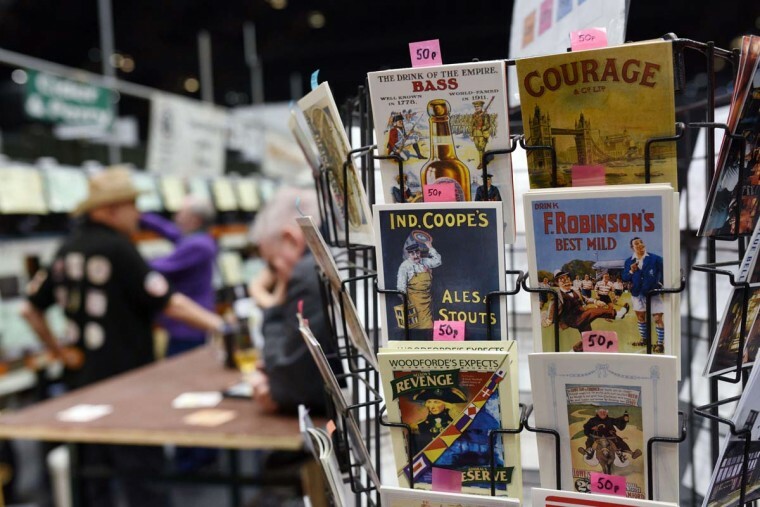 Beer-themed postcards are displayed for sale at the Manchester Beer and Cider Festival in the Manchester Central exhibition centre in Manchester, northwest England, on January 21, 2016. 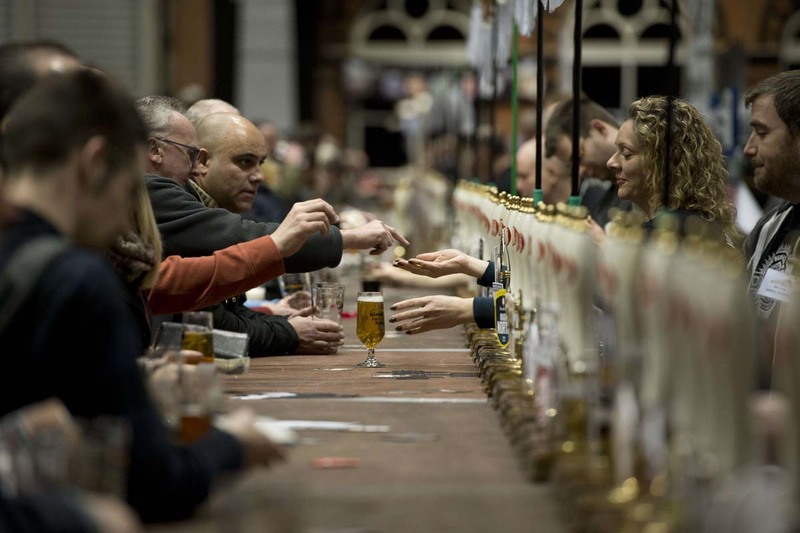 The festival is organised by the Greater Manchester Branches of The Campaign For Real Ale (CAMRA) and features over 600 different beers, ciders and perries. A member of bar staff hands out a full jug of beer at the Manchester Beer and Cider Festival in the Manchester Central exhibition centre in Manchester, northwest England, on January 21, 2016. 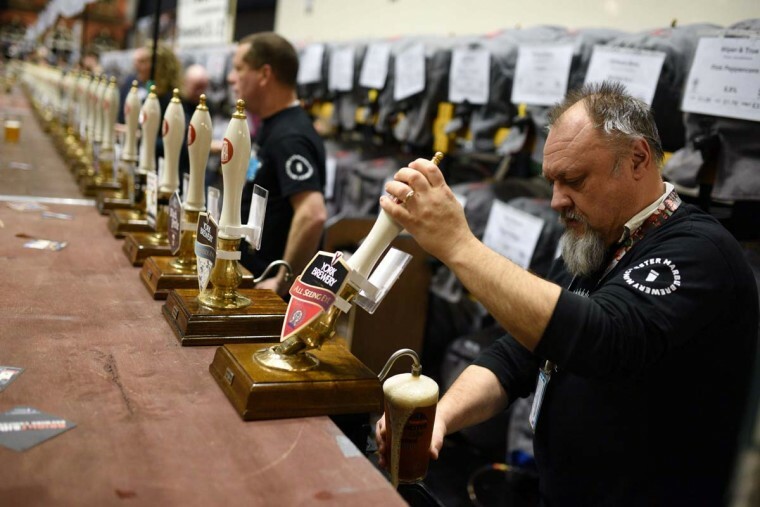 The festival is organised by the Greater Manchester Branches of The Campaign For Real Ale (CAMRA) and features over 600 different beers, ciders and perries. 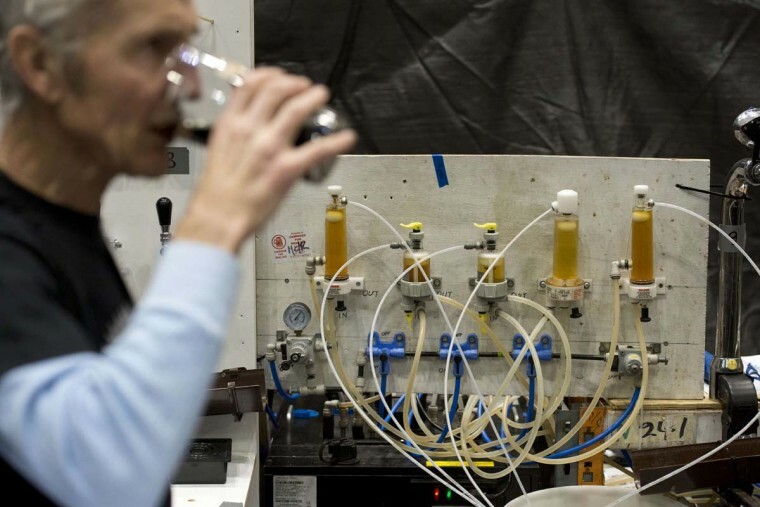 A member of bar staff takes a drink next to a system to regulate the flow of beer at the Manchester Beer and Cider Festival in the Manchester Central exhibition centre in Manchester, northwest England, on January 21, 2016. 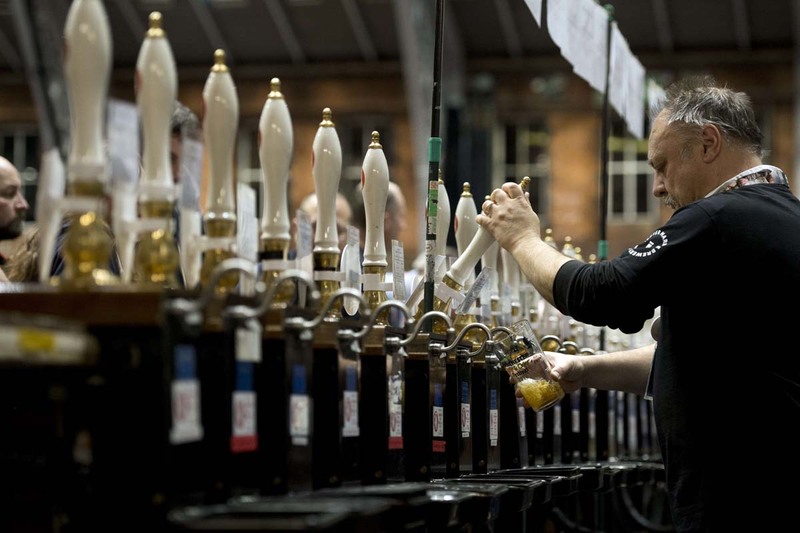 The festival is organised by the Greater Manchester Branches of The Campaign For Real Ale (CAMRA) and features over 600 different beers, ciders and perries. Bottled beers are displayed for sale at the Manchester Beer and Cider Festival in the Manchester Central exhibition centre in Manchester, northwest England, on January 21, 2016. 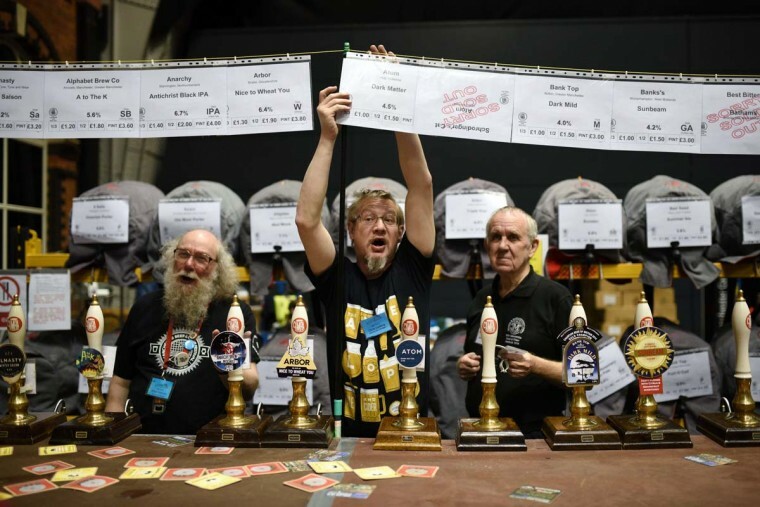 The festival is organised by the Greater Manchester Branches of The Campaign For Real Ale (CAMRA) and features over 600 different beers, ciders and perries. People drink beverages on offer at the Manchester Beer and Cider Festival in the Manchester Central exhibition centre in Manchester, northwest England, on January 21, 2016. The festival is organised by the Greater Manchester Branches of The Campaign For Real Ale (CAMRA) and features over 600 different beers, ciders and perries. A member of the bar staff pulls a pint at the Manchester Beer and Cider Festival in the Manchester Central exhibition centre in Manchester, northwest England, on January 21, 2016. The festival is organised by the Greater Manchester Branches of The Campaign For Real Ale (CAMRA) and features over 600 different beers, ciders and perries. 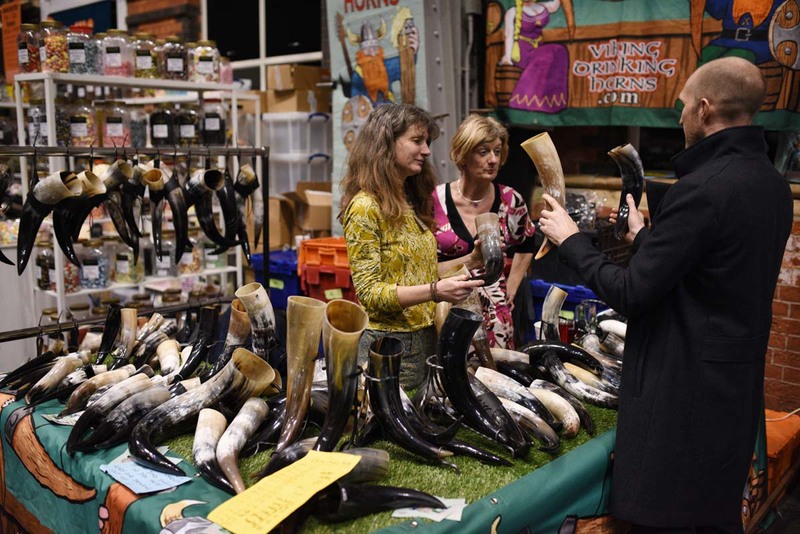 A man views a stall selling drinking horns at the Manchester Beer and Cider Festival in the Manchester Central exhibition centre in Manchester, northwest England, on January 21, 2016. 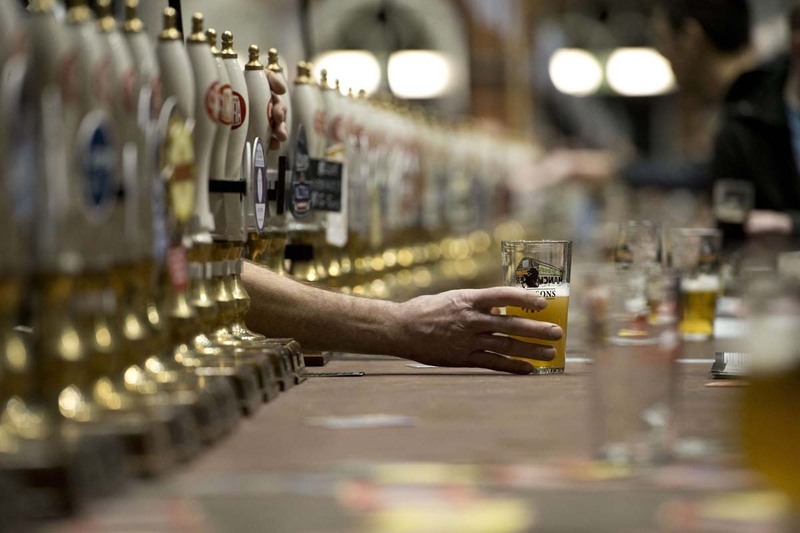 The festival is organised by the Greater Manchester Branches of The Campaign For Real Ale (CAMRA) and features over 600 different beers, ciders and perries. Bar staff serve people attending the Manchester Beer and Cider Festival in the Manchester Central exhibition centre in Manchester, northwest England, on January 21, 2016. 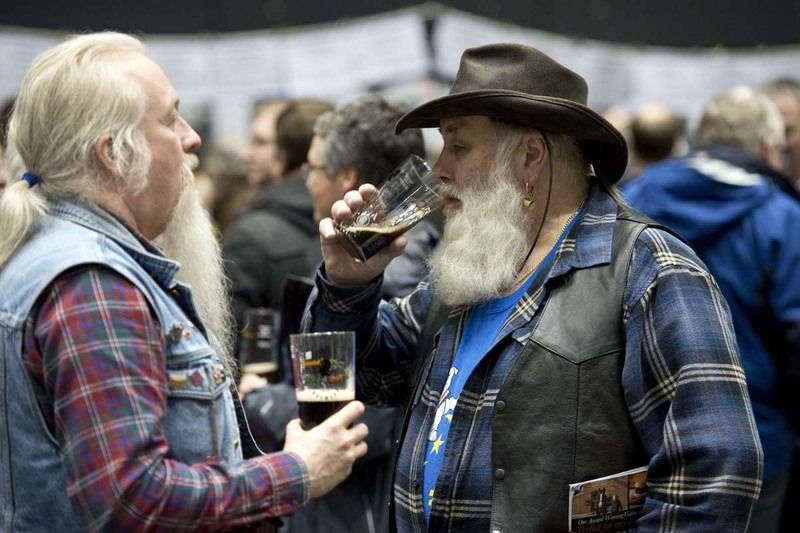 The festival is organised by the Greater Manchester Branches of The Campaign For Real Ale (CAMRA) and features over 600 different beers, ciders and perries. 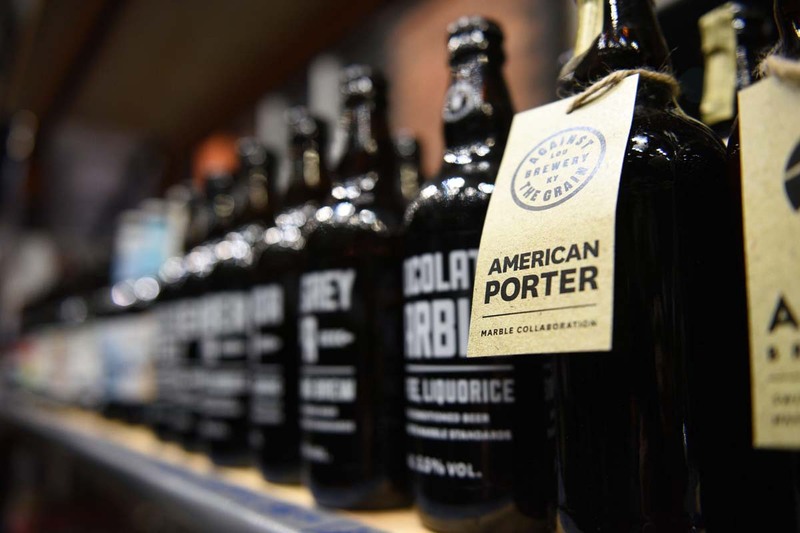 Bottled ales and bitter are displayed for sale at the Manchester Beer and Cider Festival in the Manchester Central exhibition centre in Manchester, northwest England, on January 21, 2016. 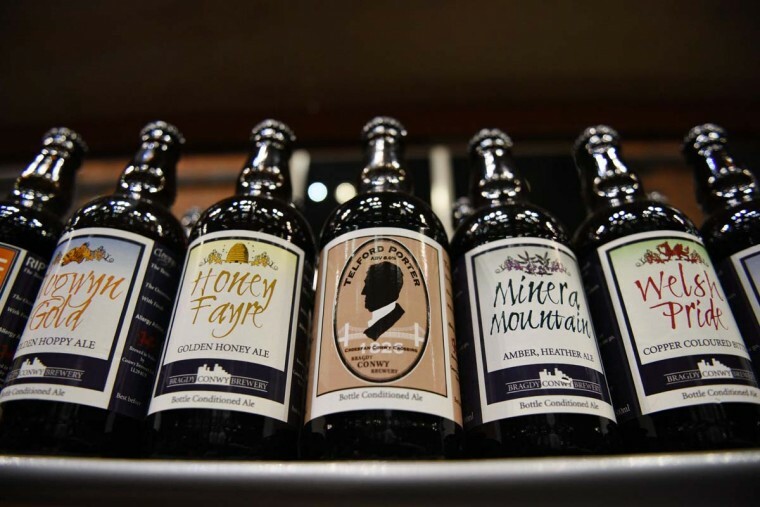 The festival is organised by the Greater Manchester Branches of The Campaign For Real Ale (CAMRA) and features over 600 different beers, ciders and perries. 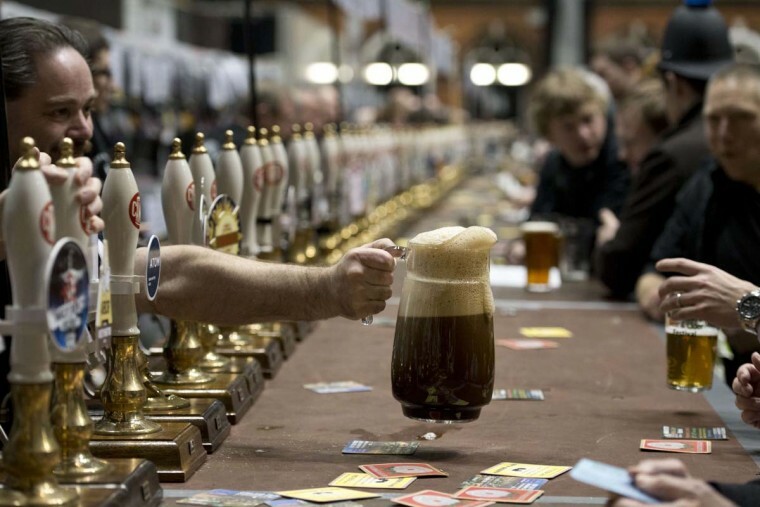 Bar staff prepare to serve people at the Manchester Beer and Cider Festival in the Manchester Central exhibition centre in Manchester, northwest England, on January 21, 2016. 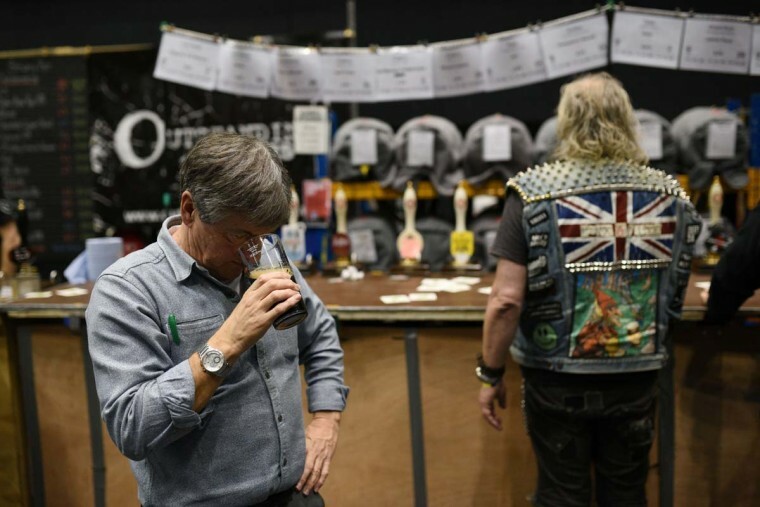 The festival is organised by the Greater Manchester Branches of The Campaign For Real Ale (CAMRA) and features over 600 different beers, ciders and perries. 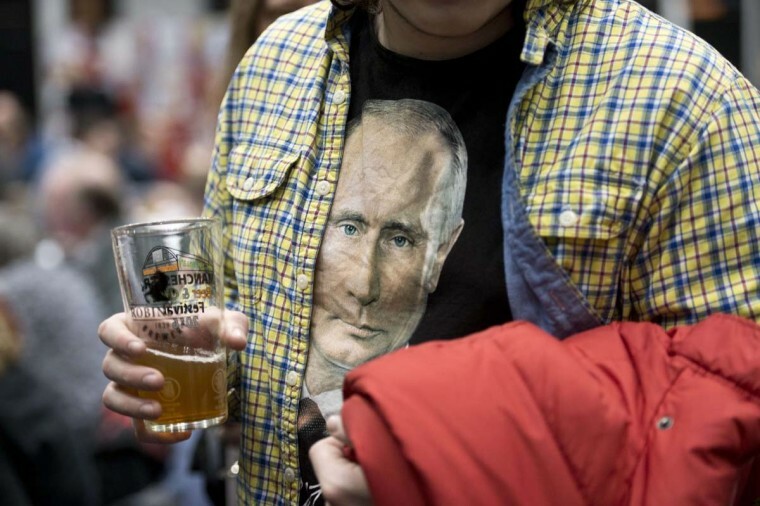 A man wears a T-shirt featuring the image of Russian President Vladimir Putin as he attends the Manchester Beer and Cider Festival in the Manchester Central exhibition centre in Manchester, northwest England, on January 21, 2016. 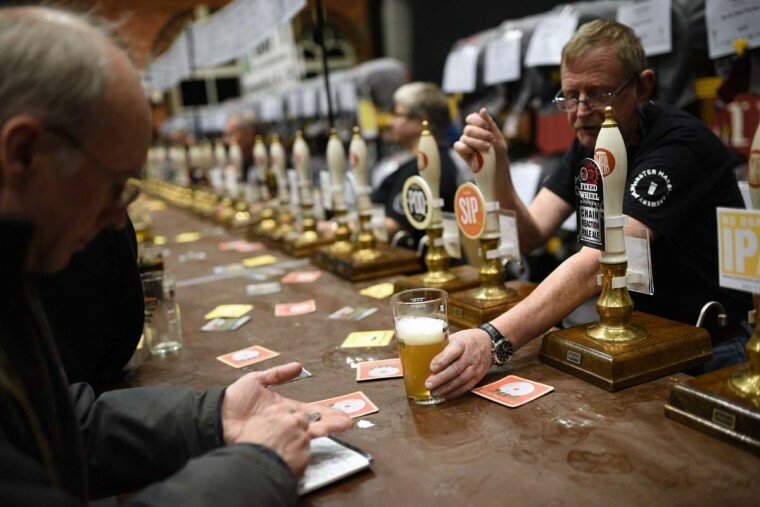 The festival is organised by the Greater Manchester Branches of The Campaign For Real Ale (CAMRA) and features over 600 different beers, ciders and perries.